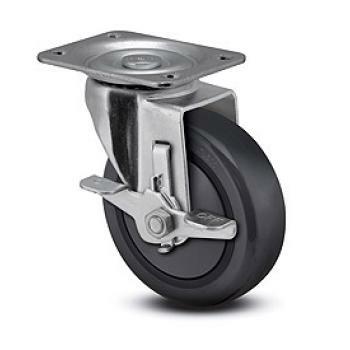 Heavy Duty Casters2" and 3" widths; up to 4,200 lbs. 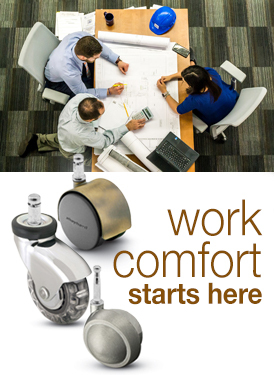 Stainless Steel CastersCapacities from 200 - 3,000 lbs. 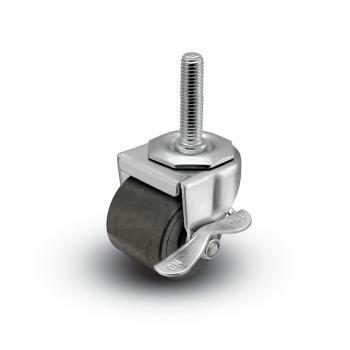 1/2" Diameter ThreadStandard lengths: 1" and 1.5"
3/8" Diameter ThreadStandard lengths: 0.75", 1", and 1.5"
1.25" Wide Wheel CastersIdeal for carts, tables, fixtures, etc. 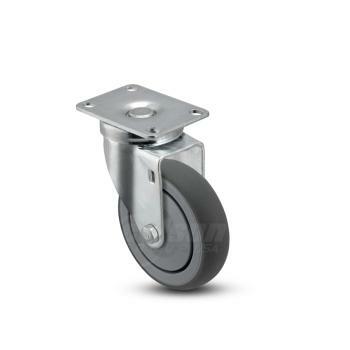 Low Profile Casters2" diameter wheels, up to 300 lbs. 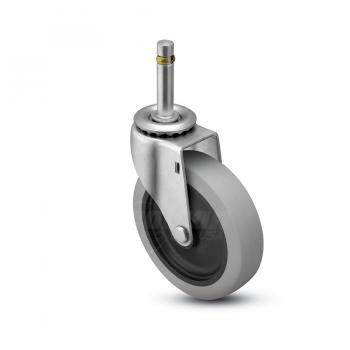 Total Lock CastersLocks both the swivel and wheel! 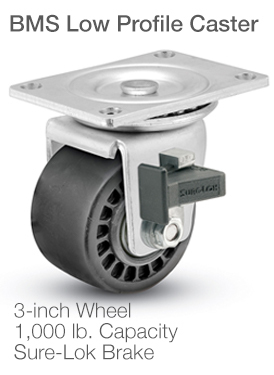 1.25" Wide WheelUp to 350 lbs. 2" Wide Heavy DutyUp to 1,200 lbs. 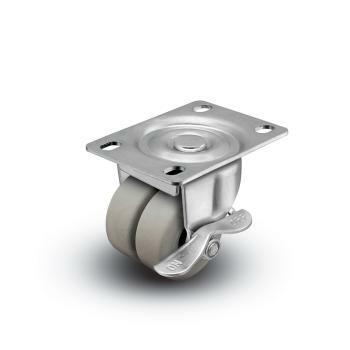 Heavy Duty Stainless Casters2" and 3" widths; up to 3,000 lbs. Black Pneumatic CastersUp to 450 lbs. each; 8" and 10" dia. Grey Pneumatic CastersUp to 210 lbs. each caster, 8" wheel dia. Never-Flat SZ CastersNever go flat, rejects debris, non-marking! 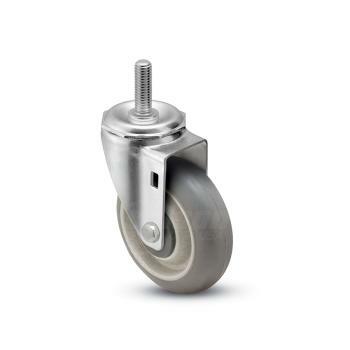 1.25" Wide WheelUp to 300 lbs. Genesis and NG CompositeSleek & quiet; up to 300 lbs. 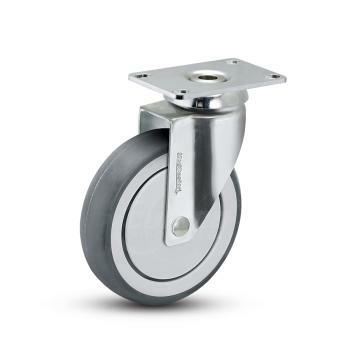 3" Wheel Diameter; up to 1,000 lbs.Mount heights 3-31/32" to 4-1/32"
00 Series Dual WheelDual grey TPR wheels; up to 180 lbs. Top Plate SolutionsUp to 1000 lbs. each; 2" and 3" wheel dia. 1/2" Diameter ThreadedUp to 300 lbs. each; 2" wheel dia. 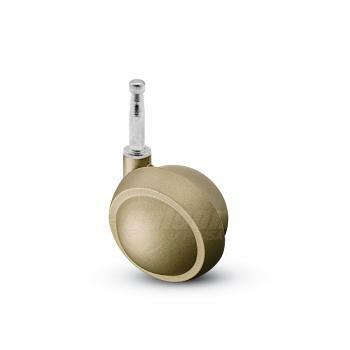 7/8" Diameter Grip RingUp to 300 lbs. each; 2" wheel dia. Nylon/Composite CastersSleek and quiet; up to 300 lbs. 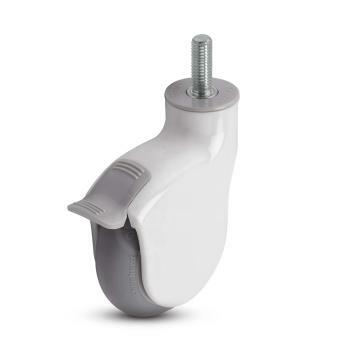 1" Wide WheelUp to 120 lbs. 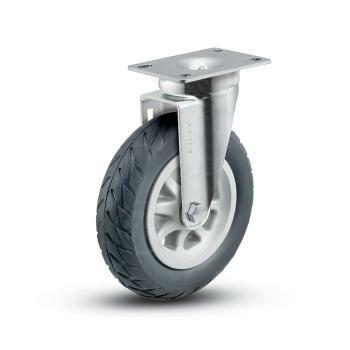 2" Wide Wheel (standard)Up to 1,200 lbs. 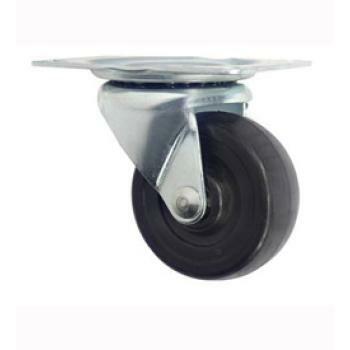 Xtra-Soft Wheel CastersThe best, soft, non-marking wheel. SZ Wheel CastersProtection like a pneumatic; no flats! 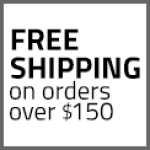 FREE SHIPPING on orders $150 and over to contiguous 48 states. 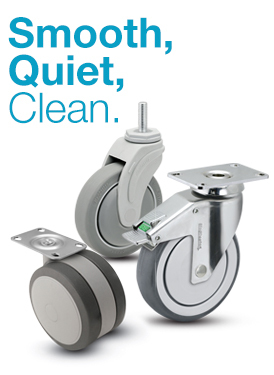 Since 1889, Faultless has manufactured and provided industrial strength casters for nearly every industry. 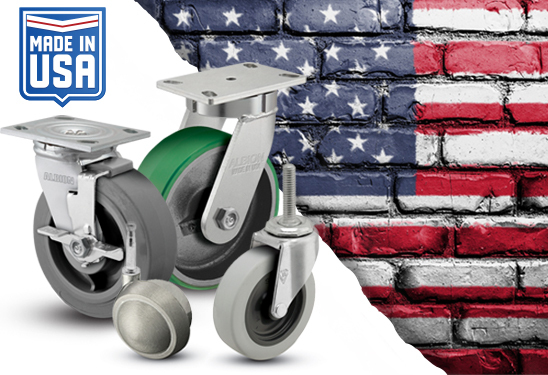 Check out our large selection of casters, from light duty and economical solutions, up to our premium USA-made 3-year warranty solutions made to last for heavy-duty manufacturing or distribution facilities. Not sure how to best start searching for your perfect caster? Click here to view our helpful guide. 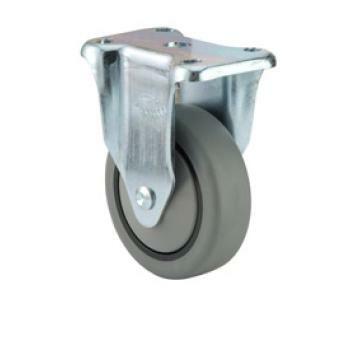 Caster Type This is the most basic classification of casters. 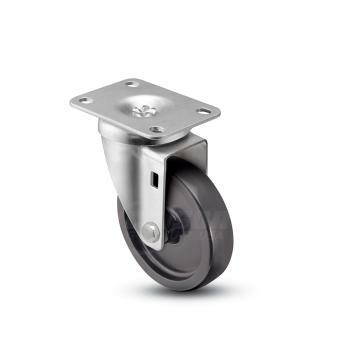 Do you want a caster that can Swivel, easily able to rotate to change direction; or do you want a caster that is Rigid, only capable of moving in a straight line? 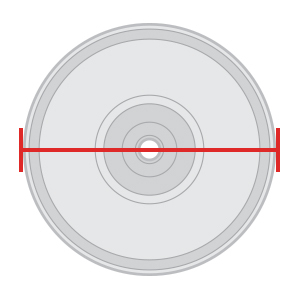 Wheel Diameter is the measurement of the distance across the central-most point of the wheel. 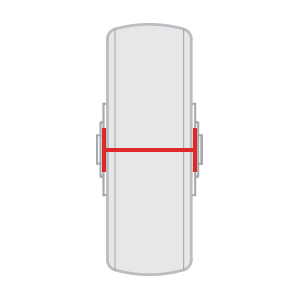 This is one of the most commonly used measurements for casters. 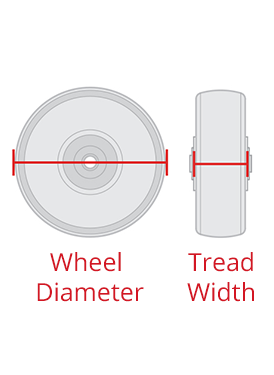 Tread Width is the measurement of how wide the caster tread is. You can find this measurement looking at the rolling surface of the wheel. This is another commonly used caster measurement. 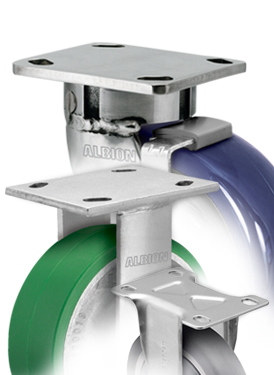 Brake Do you require integrated capability to be able to prevent caster movement? 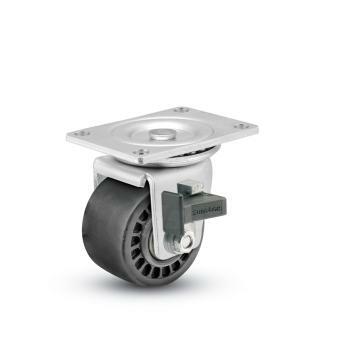 Brakes are ideal for loading/unloading on uneven surfaces. 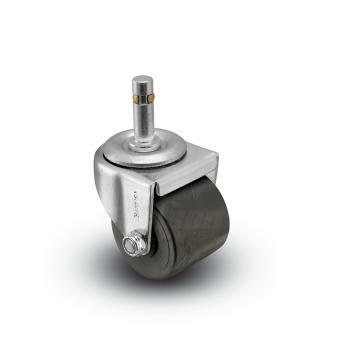 Choose Yes to view only casters which are automatically paired with a brake. 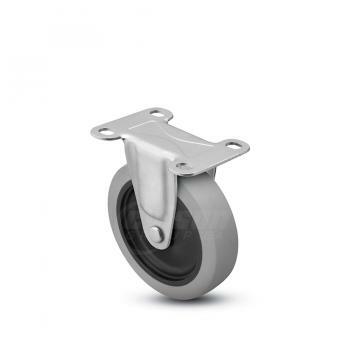 Features Here, pick among caster elements which may enhance performance (floor protective, thread guards) or reflect their manufacturing process (USA-Made, Stainless). 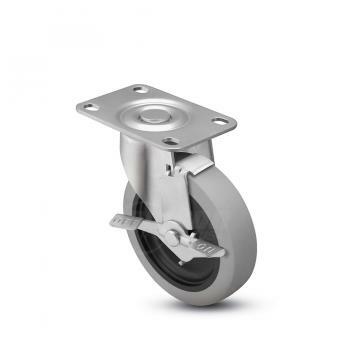 Different caster needs may require various features. Browse these offerings as needed. Fastening Type How the caster attaches to the product. 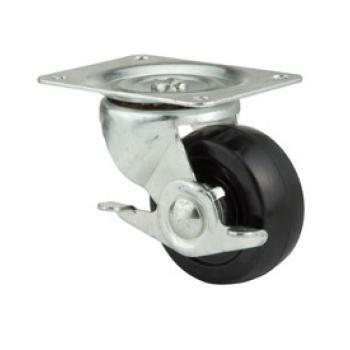 For replacement casters, you will want to match the fastening type to your existing project. 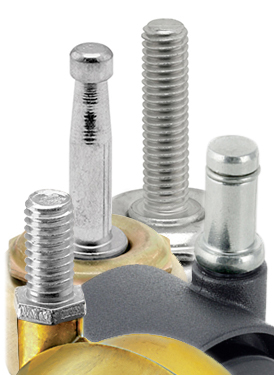 Learn more about fastening types in our glossary. Fastening Size These common measurements indicate the available sizes of the chosen fastening option. 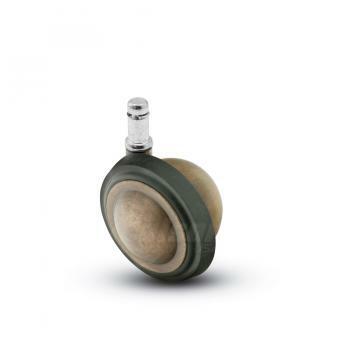 Filter Fastening Type to reduce available Fastening Size options. Wheel Type This indicates common wheel tread materials. 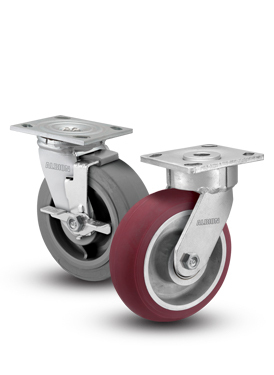 Learn more benefits of each wheel type and find additional industry names for each in our glossary. 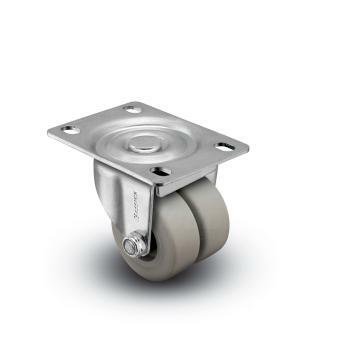 Capacity Capacity indicates the approved load rating per caster in pounds. It is recommended that you build a safety buffer when picking load rating. 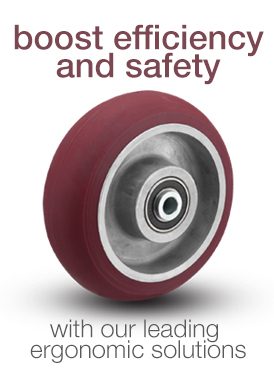 Ensuring your casters can hold more than the intended load will prevent unnecessary failure. Finish Available caster finishes. Select from options including (not limited to): Stainless Steel, Chrome, Zinc and various decorative finishes. 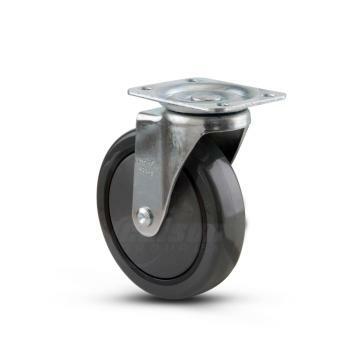 Price Available price range per casters. This reflects the single unit price. 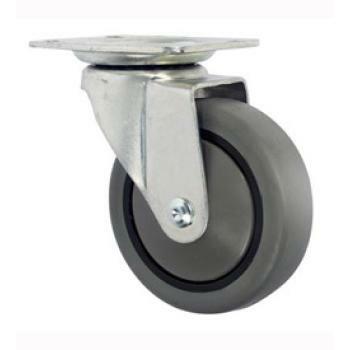 Casters may have discounted pricing at large quantities. 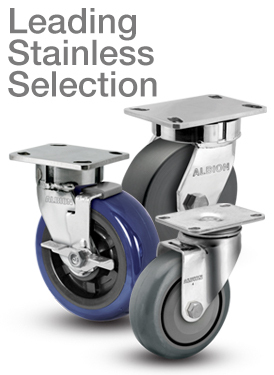 Please see individual caster product pages for details. Applications A list of common caster applications. 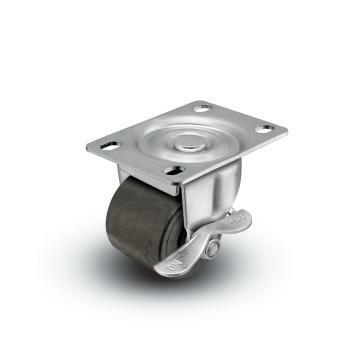 Some casters may be specifically designed for an application or may be commonly used within one. You may also consider starting here to shop by specific applications. Use filters to narrow results. 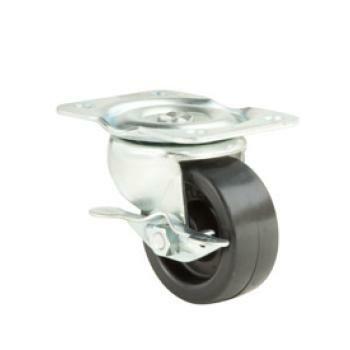 Caster Coupons - Save on Casters!